Your plants will be able to develop in a more healthy way if you prune them regularly. To do this job efficiently, you cannot be without a lopper. They are simple and safe to use. As you probably know, gardeners often have to trim their shrubs several times each year. The purpose is to remove the damaged or dead parts and help the plants grow quickly and in a uniform shape. An appropriate lopper will simplify this task immensely. So, what features do the best loppers include? Is this lopper reliable or that one? There is an array of questions needing to be answered before you make your final choice. There are plenty of models available on the market, so consumers are often at a loss to determine which one is good enough. We understand these worries, so we want to share with you all that we know about the loppers. Aside from the way to select a proper one, we will also list the best quality products in the top 5 best lopper reviews for 2019. You want to know. We will help you find the answers. Go on reading! How Can I Choose the Best Lopper in 2019? The most expensive lopper is not necessary the best one. In fact, you’ll be able to find a good quality lopper that’s reasonably priced as long as you know what to look for. There are basically two major types on the market today – the anvil and bypass style. Each of the styles will provide for a specific type of cutting. Consequently, you need to define the most suitable type for your demands. 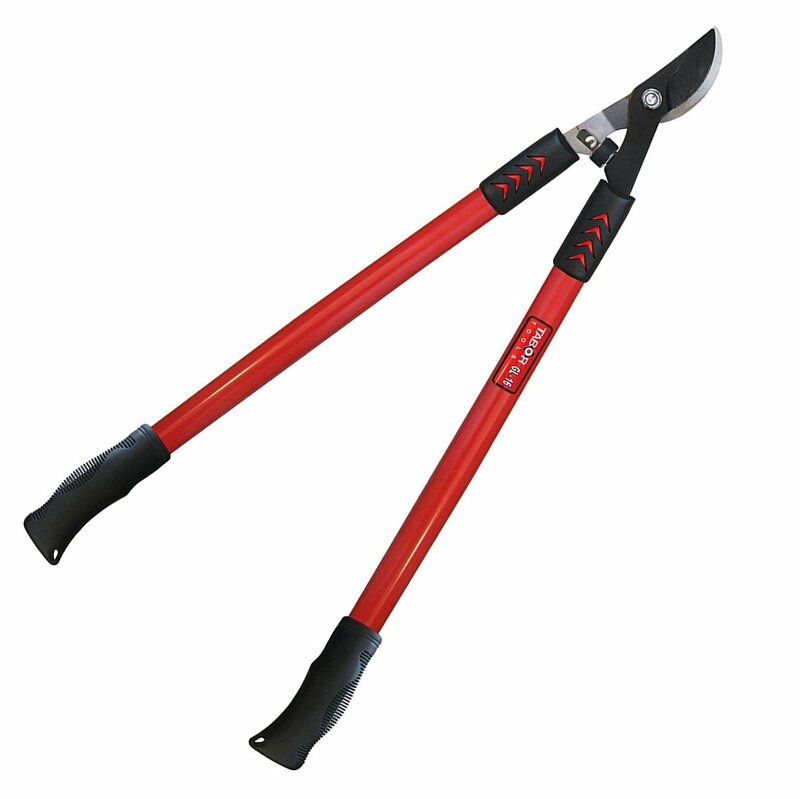 These loppers are less popular due to their rougher cut. Anvil loppers consist of only one blade, which is referred to as an “anvil”. A flat steel/ nylon plate is attached to the other handle. They allow you to cut through thick branches, by virtue of their design. Nevertheless, when cutting, they are more likely to crush than to give a clean cut. This style of lopper is most appropriate for cutting dead branches with a 2-inch diameter, instead of using a saw. This is the more popular and more common style. Bypass loppers consist of two cutting blades that can slide across each other. 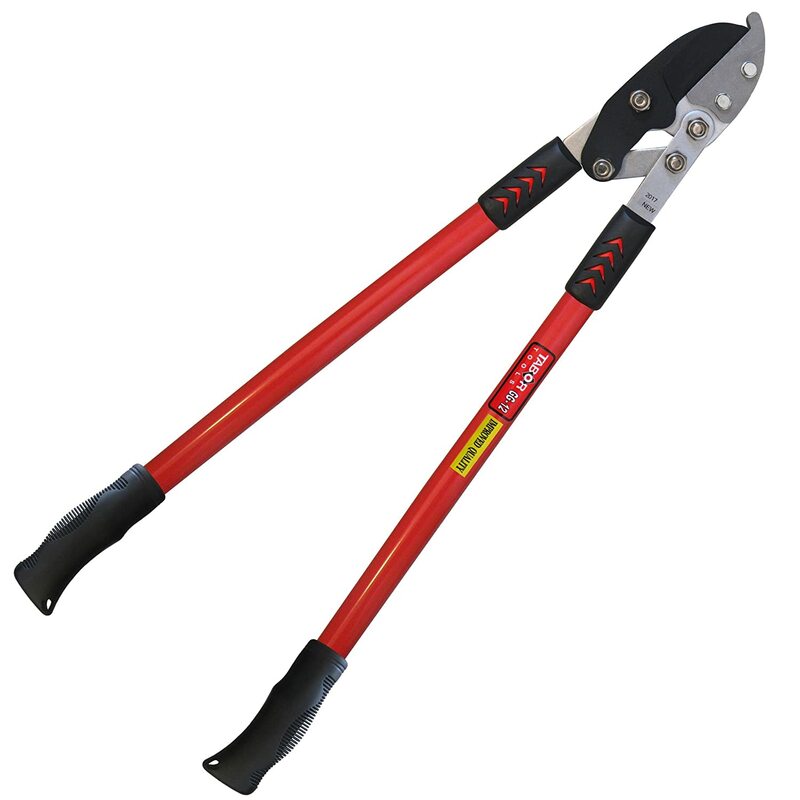 These loppers make cleaner cuts, but are not recommended for cutting dry or dead branches as the blades may become jammed or bent. Some cheap makes of lopper that just have a simple pivot will make your job much more difficult. So, what do we need to consider when choosing a lopper? Gear action – At the fulcrum, there should be a gear mechanism. This will contribute to increasing the force when you cut through thick branches. Compound action – The lopper should include a lot of pivot points and levels, therefore, providing more force. The handle should be easy to open. Ratcheting loppers – This type of mechanism is best for those who do not have much strength when cutting. The ratcheting mechanism will lock the handles in place, saving you time and effort when doing a lot of cutting. The length of the handles varies. Generally, they range from between 15-32 inches, or even more. The longer the handle, the more leverage you will have. The long handled types are beneficial when cutting through the thick branches. Of course, the longer handles are not as light and easy to work with as the shorter ones. If you lack physical strength, you should choose a shorter handle. It’s important that you feel comfortable with the tool. We know that the main weight of a lopper basically comes from the handles. The weight obviously depends on the length, but also on the materials used to make them. Fiberglass is light. If desired, you will be able to flex more. Aluminum has the same weight as fiberglass. Nonetheless, it does not have the ability to flex. Wood has a medium weight. Steel is the heaviest. Frequently, it enables you to cut through thicker branches. Be sure to select the proper weight for your needs. The right lopper will not make you tired when using it. 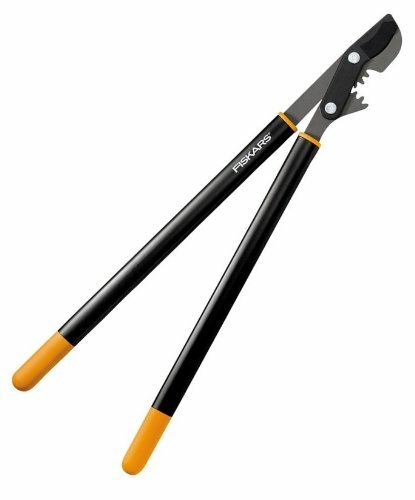 Fiskars 32-Inch Bypass Lopper provides a PowerGear mechanism that all the best loppers should have. This contributes to increasing the leverage capacity when you prune the plants. In addition to that, on every cut, the users are provided with a force 3 times that of a single-pivot lopper. The product has a 32-inch handle so that you can easily reach the branches, but is not too heavy as it is made of the fiberglass material. This helps to minimize the strain and pressure needed while still being strong and durable. The blades are made of corrosion free aluminum. This lopper will be the best lopper for those who are looking for an easy-working tool. 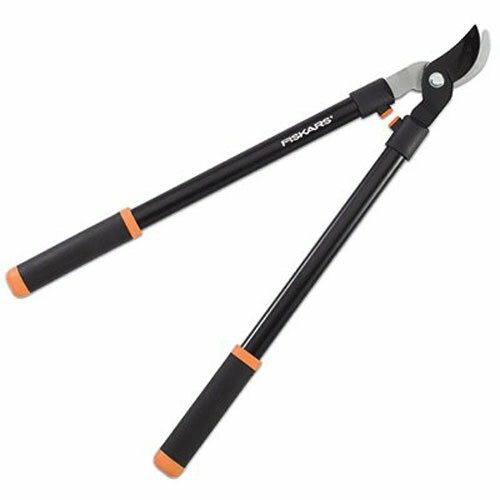 The Fiskars 28-Inch Bypass Lopper is designed for cutting both big and medium sized limbs. 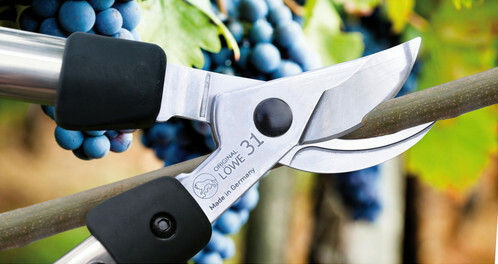 The blade’s material is stainless steel, so it’s sharp enough to give a smooth cut when you prune green branches. New blades are readily available if they become dull or broken. Nonetheless, to make sure of a longer use time, don’t cut branches larger than ½ an inch in diameter. To help keep the maintenance of the blade simple, the manufacturer provides a non-stick coating. The loppers boast a cushioned grip, which makes them comfortable to use no matter how long you use them for. At the same time, they do not create extra pressure on your hands when finishing the cuts. Similar to other best loppers, the warranty on the Fiskars 28-Inch Lopper is really good. You will get support from the manufacturer if the product has a problem. You will not feel too much vibration when using these loppers, and due to the shock-guard bumper your hands will remain comfortable. The soft grip will also ensure you stay comfortable, even when cutting for long periods of time. The bypass blade is made of carbon steel, which retains its sharp edge well. However, it’s best not to abuse it by attempting to cut branches which are too thick. The blade is also coated with a non-stick layer to minimize friction and ensure that the blade remains sharp. 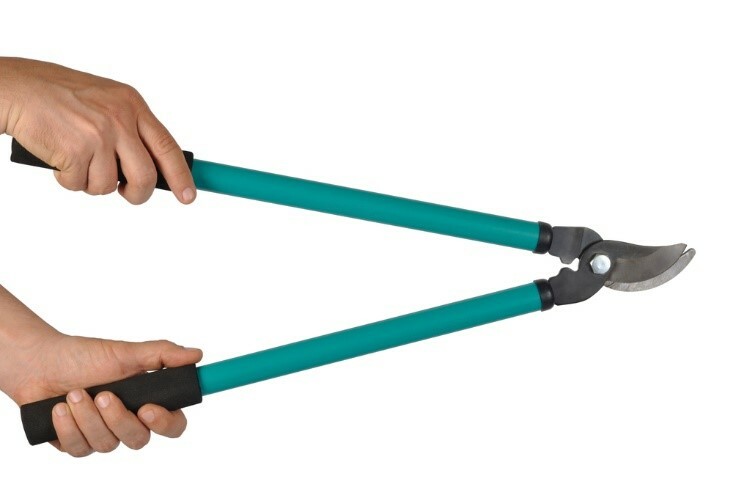 Just be aware that the length of this lopper will affect the leverage. Although 30 inches is a little short for good leverage, if you just need to cut smaller branches it will be adequate. The Tabor Tools GG12 Compound Lopper is ideal for cutting thicker branches or dry limbs. This is a professional lopper which provides leverage and power. Why can you use this Tabor for cutting thick branches? That is due to the carbon steel material, which is used to make the blade. Aside from that, with the non-stick coating, even gardeners without much strength, such as the elderly, will find this lopper surprisingly easy to use, making this one of the best loppers on the market. The rubber grip is comfortable and flexible. Plus with the 30” length, cutting higher branches becomes simpler than ever before. The Tabor Tools GG22 also has one of the features we told you to look out for when searching for the best lopper – the compound action system. This will mean you can easily complete heavy-duty cutting chores without feeling tired. If you are looking for one of the best loppers on the market today, this may very well be it. So, what does the best lopper from Power Drive look like? – It must allow you to cut through thick limbs without creating too much pressure on your hands. The Power Drive 28-Inch Lopper with the ratcheting mechanism of an anvil lopper not only increases the force you can create, but also decreases the pressure on your hands when cutting branches of the allowed thickness. Your work becomes simpler with this mechanism because it provides the power that is approximately 5 times normal. The body parts are made from aluminum, making it light to hold. The tool also has a rubber grip for comfortable pruning. The handle design makes it suitable for women or people with smaller hands. The majority of the best loppers use carbon steel to make the blade, and this Power Drive, does too. The 100% warranty for customer satisfaction is a bonus, and you get great customer support too. You may have a good idea of how to choose the best loppers for your needs and to suit your budget now. 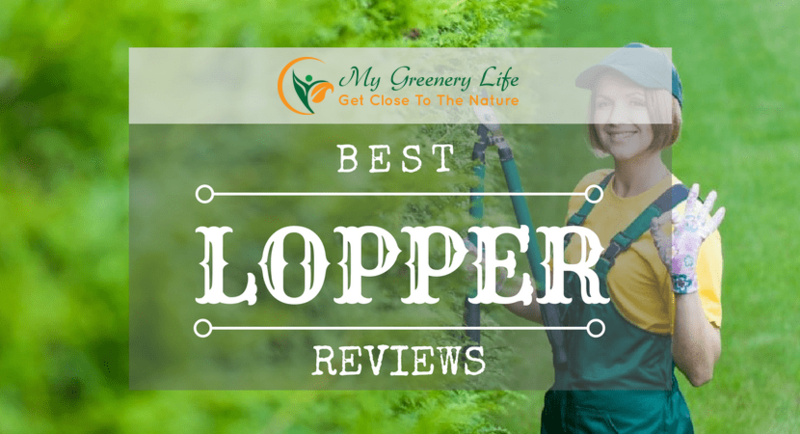 We hope that our best lopper reviews 2019 will be useful for gardeners, who are looking for one. Happy shopping and enjoy your gardening!